That's so cute! Good point that Thanksgiving is more than a meal and to give thanks for all things (even when they aren't quite what we wanted). Thanks for sharing your fun poem, Donna. 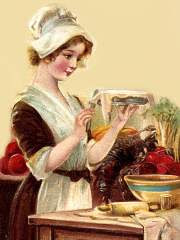 I got to thinking - just because it's Thanksgiving doesn't mean that bad cooks are wonderful overnight. *grin* Thanks for stopping by. I'm glad you enjoyed it! Donna, I love that twist- Thanksgiving is more than a meal! It definitely is MORE than a meal. Have a great thanksgiving! Thanks, Rhodi! Happy Thanksgiving to you as well. Love the poem! And since I'm not a great cook, I chuckle even more. Thanks for the lesson. But was always great and good, and we were always thankful. Especially for friends like Donna.